Portals in time can take us away on magickal carpet rides through gateways to lands and places dressed in laces with beckoning faces. ✴ Chorus ✴ Drifting in and out of time, searching for a lullaby whispering chimes and rhymes and signs to bring you back to me. ✴ Verse 2 ✴ Each fragment of light is ripened into a twilight pattern, and with my kaleidoscopic thoughts, I probe the edge of gladness. ✴ Bridge ✴ Wandering like a wise one half awake in semi-darkness. ✴ Illusions in my paisley country dreams, I search for you. ✴ I hope for you. ✴ Verse 3 ✴ Fantasies dissolve and rearrange. ✴ Intricate mazes lead me in. ✴ I come to dead-ends and movin’ons, while mists surround me in the labyrinth. ✴ Repeat Chorus ✴ Verse 4 ✴ I see you through the open gate, beckoning me with open arms leading me to your secret place your sweetness to partake. ✴ Repeat Chorus ✴ [Musical Solo] ✴ Repeat Chorus ✴ While tampering with eagerness, I awaken. ✴ oo-oo-oo-oo-oo-oo. ℗©2010 Jeanne Baker Publishing (ASCAP); Oak Ridge Records. All Rights Reserved. Used by permission. Would that there would be but one who’d be my knight in shining armor. ✴ One who’d build my self-esteem by not allowing others to trample it with meanness. ✴ He’d silence vicious barbs. ✴ One who’d be so kind and wise with gentle strengths he makes it fine. ✴ Chorus ✴ There’s a little good in the worst of us, and there’s a little bad in the best of us, so it behooves that none of us talk about the rest of us. ✴ There’s a little good in the worst of us. ✴ Verse 2 ✴ My brave knight would help me to stand tall and to be brave. ✴ Teach me that when trouble comes to smile and walk away. ✴ My knight in shining armor would shelter me from harm like a shield of kevlar secure within his arms. ✴ Repeat Chorus ✴ Verse 3 ✴ My brave knight would come and save me. ✴ Bullies would not dare to touch me. ✴ My brave knight would come and drive the brigands all away. ✴ Now they know that they’d lose in the end. ✴ My brave knight would never let them harm me or my friends. ✴ Repeat Chorus ✴ There’s a little good in the worst of us. ✴ There’s a little good in the worst of us. ℗©2010 Jeanne Baker Publishing (ASCAP); Oak Ridge Records. All Rights Reserved. Used by permission. You know that I loved you body and soul, but you gave a half-love to me. ✴ Half-love’s a weak thing, neither bound nor free. ✴ Verse 2 ✴ My soul’s alone, afraid, and sad. ✴ You claim devotion to me, just untruths and a love that’s wrong. ✴ My love has blinded me. ✴ Chorus ✴ Next time you build bridges be sure you make them strong. ✴ You broke my heart and walked away. ✴ The path to love is gone. ✴ Verse 3 ✴ Silent songs in the falling rain in the restless winter fears, moan and call to deepest pain. ✴ Hollow hearts cry---no tears! ✴ Repeat Chorus ✴ Bridge ✴ Now these are words with meaning, so grab’em for their worth. ✴ Their piercing blades reflect your lies. ✴ I see it in your eyes! ✴ Repeat Chorus ✴ [Musical Solo] ✴ Repeat Chorus ✴ Repeat Chorus ✴ [Musical Solo] ℗©2010 Jeanne Baker Publishing (ASCAP); Oak Ridge Records. All Rights Reserved. Used by permission. If you cannot see these words, just use your highlighter apparatus on your mouse. It will highlight the background and enable you to see what may be difficult to view. Oh, and if you are using an iMac, just go to ‘View’ and click on ‘Make text bigger’ or 'Zoom In'. As one can see by the lyrics, My Brave Knight is a song I wrote for people who are bullied. I felt they needed a "voice". I also wanted a song to sing if I ever had the good fortune to entertain our troops, so this is also for all the "bully chasers" in the Armed Services who protect us from bullies. I hope you enjoy my website and will come back again for a visit, and I sincerely hope you will enjoy my album. Of course, you may click on "Next Page" and be taken to another folder of pictures and lyrics from my album's insert. 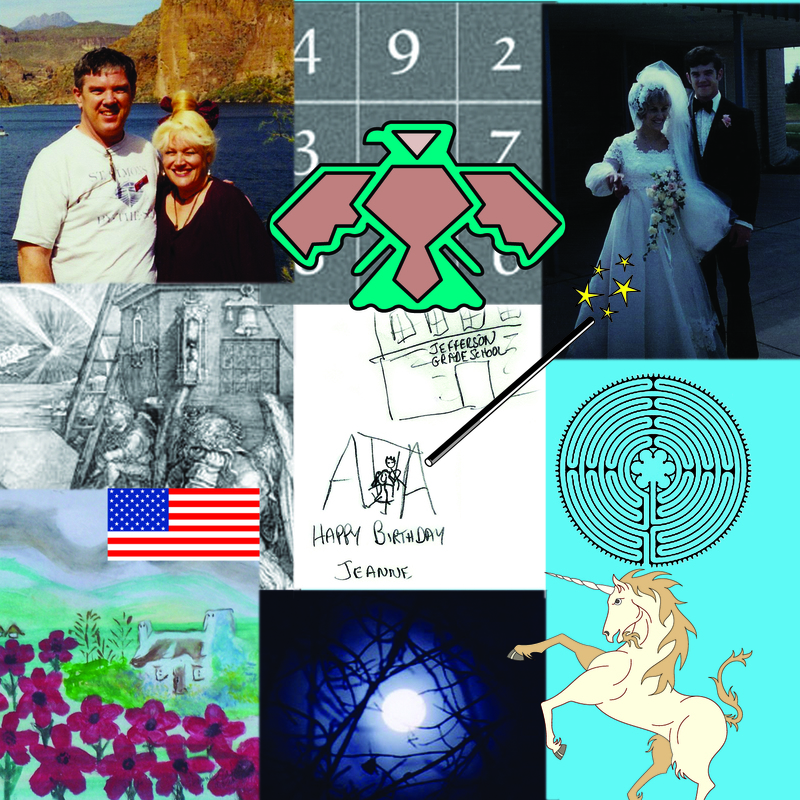 Graphics, text, pictures, and names Copyright & copy 2010 c.e. -2013 c.e.-- Jeanne Baker inclusive of all pages contained within website. All Rights Reserved worldwide. Jeanne Baker shall not be liable in the event of incidental or consequential damages arising from the use of information supplied herein. The adoption and application of the advice or information offered is solely the readers' responsibility, and we do not guarantee results. Jeanne Baker and its web maker are not responsible or liable in any manner for any loss or damages caused by following the suggestions in our articles, products, services, or any other references associated with the entirety of said website.